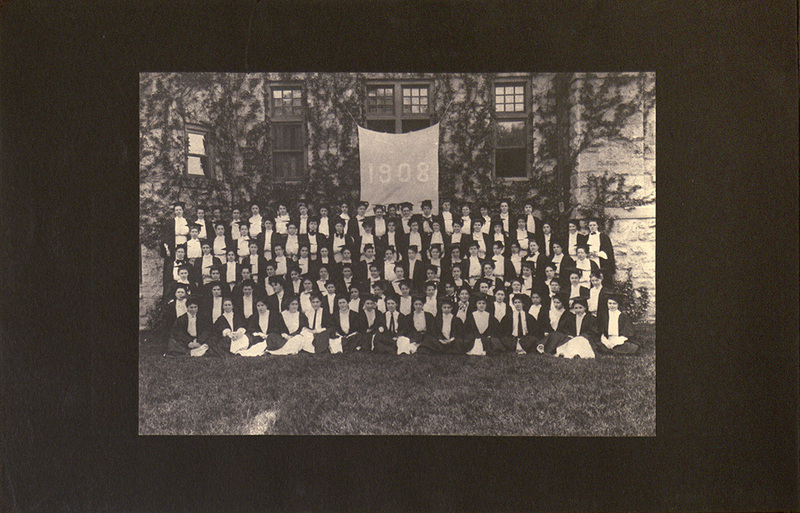 A class picture of 1908. This is the second image in Passmore's scrapbook so her classmates were very important to her. After spending so much time with Frances Passmore’s scrapbook, photographs and memories it is peculiar that I cannot be certain of what she looked like or were any other off-campus pictures were taken. I never figured out when she got married, what dorm she lived in or what her friends’ names were. Regardless, investigating the Passmore’s life through alumnae bulletins, the yearbook an her scrapbook was exciting and I felt that I did form a relationship with this artifact. This visual narrative was an intentionally private piece of the life of Passmore and it was fun to delve into other sources to find out as much as I did.